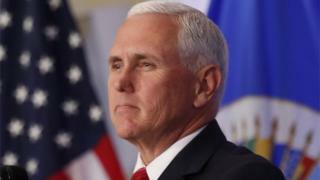 A senior North Korean official has dismissed remarks by US Vice-President Mike Pence as "stupid", casting further uncertainty about a planned meeting between the two countries' leaders. Choe Son-hui said the North would not "beg" for dialogue and warned of a "nuclear showdown" if diplomacy failed. 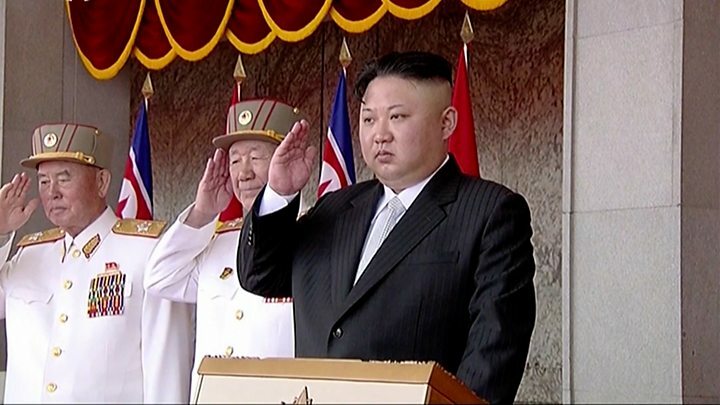 North Korea insists it will not give up its nuclear weapons unilaterally. Choe Son-hui has been involved in several diplomatic interactions with the US over the past decade. She is one of Kim Jong-un's top aides and analysts say her statement will have been sanctioned by the leader himself. It came days after Mr Pence warned that North Korea "may end like Libya" - where then-leader Muammar Gaddafi was killed by rebels in 2011 after renouncing nuclear weapons eight years earlier. Ms Choe, in an article carried by the state news agency KCNA on Thursday, said Mr Pence had made "unbridled and impudent remarks". Could defectors affect North Korea talks? She added: "As a person involved in US affairs, I cannot suppress my surprise at such ignorant and stupid remarks gushing from the mouth of the US vice-president. "Whether the US will meet us at a meeting room or encounter us at nuclear-to-nuclear showdown is entirely dependent upon the decision and behaviour of the United States." Meanwhile North Korea is pressing ahead with plans to dismantle its only nuclear testing facility later this week. The Punggye-ri site is located in a remote part of the north-west of the country. A group of international journalists, who have been invited to observe the event, are on their way there. - 16 May: North threatens to scrap summit over comments by US National Security John Bolton about "Libyan model"
- 22 May: Trump insists that unless the US gets "certain conditions... we won't have the meeting"
It is interesting that Pyongyang decided not to target Donald Trump, who also made similar remarks. Aiming the insults at those around the president rather than Mr Trump himself may suggest North Korea is not ready to throw away the prospect of a summit quite yet. 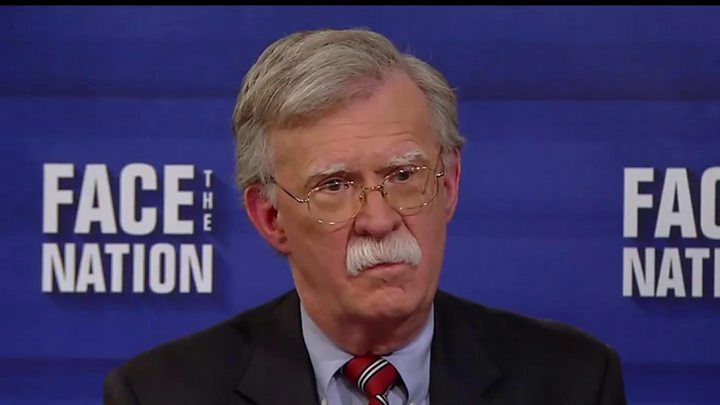 Video John Bolton: Why is North Korea angry at this man?